This album is not as good as Timeloss, but despite this, it is still quite good and worth of being looked into. It is a softer and mellower approach, but still a good one and the atmospheres are very pleasant. The work is emotive, expressive, even if it may be sub-par in some areas of compositionally and lacks a technical presence. Some of this is much more commercial in approach, with hints from early 90's rock being thrown into the mix to varying degrees of success. There's also mixtures of various electronic soundscapes that work quite well. However, there is really no signature track that stands out among the others, and as others have noted, it can become a bit tiresome at times because of the lack of dynamics. Silence of a Kind is a wonderful little album to have, although I would suggest Timeloss over this. 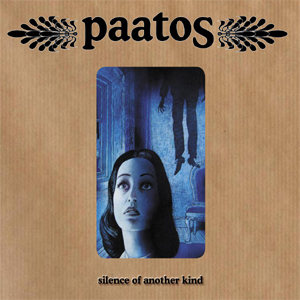 For those looking for a modern expressive band, Paatos should make you feel quite at home.